RELEASE YOUR TENSION OUR SPRINGS CARRY THEM. We manufacture compression springs from Wire dia 0.1 mm to 12.5 mm. A type of spring designed to support tension, or pulling loads. 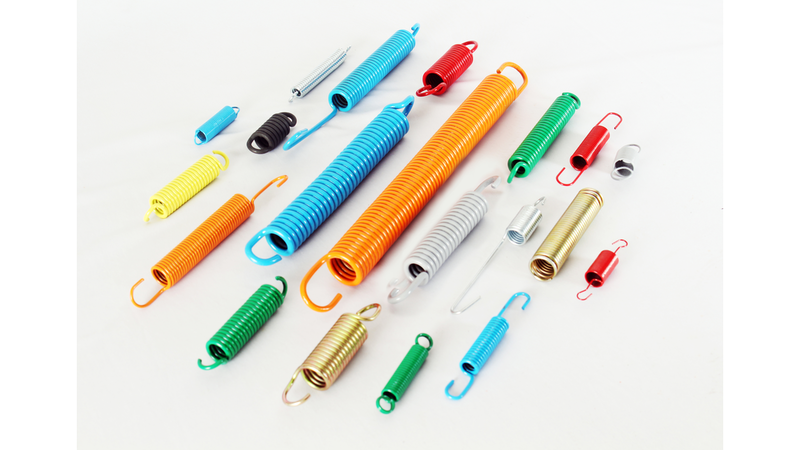 Extension springs are also called tension springs. The difference between helical compression and helical extension spring is in the direction of load application and the method by which it is applied. In order to apply the force, special end form numbers have to be used, either utilizing the formed end coils or special hook. The more complex the end formation the greater the manufacturing tolerances & greater the manufacturing cost.